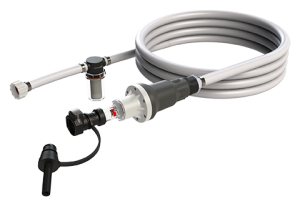 Fill your batteries faster, safer, and more reliably than manual watering with Millennium Evo, Pro-Fill, or Qwik-Fill single-point battery watering systems. These solutions optimize your battery’s health and overall life while simultaneously saving you time and money. What are watering systems? This safe solution consists of automatic shut-off valves, interconnected with tubing, which replace battery vent caps. The tubing is attached to a quick coupler that is connected to a water supply. Once connected, water flows into each cell until it reaches the correct level. 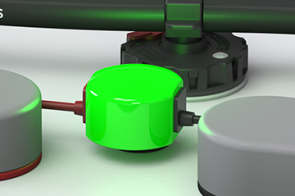 Single point watering systems allow you to fill your batteries efficiently without exposing you to dangerous battery acid. What happens if you forget to water your batteries? 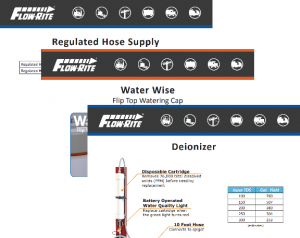 Flow-Rite offers both software and hardware to keep your investments monitored and maintenance tasks organized. 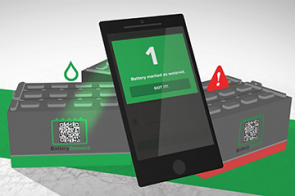 Use the Battery Steward app and web portal to create battery care tasks lists, identify neglected batteries, and analyze maintenance data. Keep an eye on your electrolyte levels in your batteries with a solid green or blinking red light. We offer many different water supply options to fit the specific needs of your operation. Take the guesswork out of electrolyte levels. 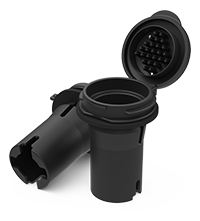 These unique vent caps limit the nozzle depth of automatic watering guns for accurate electrolyte levels every time. 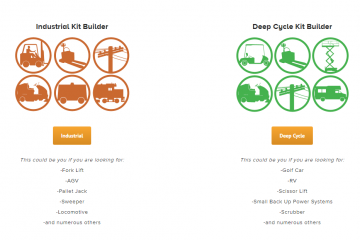 Check out our interactive tool for building your unique watering kit!